The screening is set for 4-6 p.m., in the Edythe Old Studio on campus. The event is free and open to the public, but donations will be accepted at the door to support the filmmakers and subjects featured in the documentary. The MAS Raza Collective, a student organization with ties to the Mexican American Studies and Puente Project programs, is partnering with the Asamblea Popular de Houston to host the screening. The MAS Raza Collective aims to educate and improve the community through the power of activism and the empowerment of marginalized groups. In October, the group held a remembrance ceremony and erected a special art installation in the heart of campus to commemorate the one-year anniversary of the Ayotzinapa students’ disappearance. The installation featured 43 empty chairs, each draped with a t-shirt and sign bearing the name and face of one of the missing. In March 2015, Mexican American Studies students at Lee College visited on campus with members of the Asamblea Popular de Houston to learn more about the students of Ayotzinapa, government corruption in Mexico and the history of repression of social movements in the country — particularly with indigenous and rural communities. For more information about the screening of “Ayotzinapa: Chronicle of a Crime of the State” at Lee College, contact Cynthia Pizana at cynthiapizana@ymail.com or Emily Trevino at etrevino13@ymail.com. 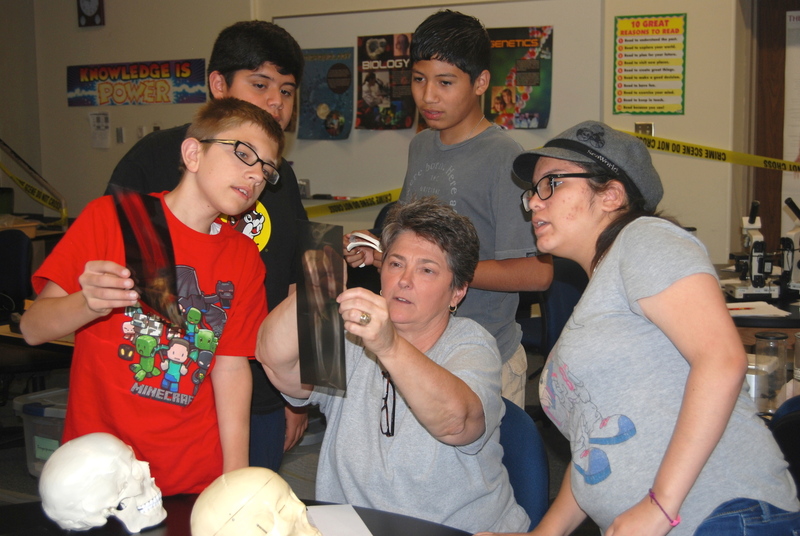 Lee College biology instructor Margene Lenamon (center) helps Kids at College participants analyze an x-ray of a human bone during the Forensic Science summer camp held in 2015. Registration is now open for the 2016 Kids at College program, which will include camps and courses at the main campus in Baytown and the Lee College Education Center – South Liberty County. BAYTOWN, TX — Parents and guardians looking for ways to keep their children engaged and entertained this summer will find an array of camps, classes and activities in the “Kids at College” program at Lee College, which is now accepting registrations and gearing up for its second annual Summer Preview Day. Kids at College Summer Preview Day will be held from 9 a.m.-noon, this Saturday, April 30, in the gymnasium on campus. The event is free and open to the public, and will include detailed information about program options in arts and crafts; career exploration; brain-training; athletics; cooking; science, technology, mathematics and engineering (STEM); and EnergyVenture. All camps and courses are designed for children and teens aged 5-17 years and will be held this year at both the main campus in Baytown, and the recently opened Lee College Education Center – South Liberty County. Participants at Summer Preview Day will enjoy hands-on activities for the whole family, interactive demonstrations from camp instructors and fun prizes and giveaways throughout the morning. Parents can also sign up their children for Kids at College on the spot, and win vouchers to help pay for any applicable registration costs. For more information about the Kids at College program or the second annual Summer Preview Day, contact the Center for Workforce and Community Development at 281.425.6311 or visit www.lee.edu/workforce. 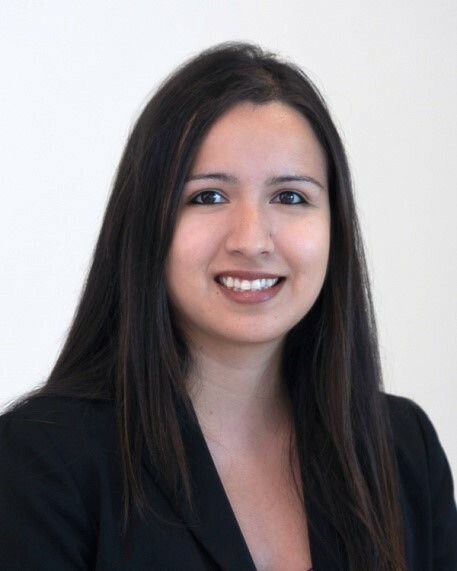 BAYTOWN, TX — Dr. Christina Ponce, Vice President of Student Success, Workforce and Resource Development at Lee College, has been awarded the prestigious Aspen Presidential Fellowship for Community College Excellence. The Aspen Institute, an educational and policy studies organization based in Washington, yesterday announced that Ponce joins the inaugural class of the Aspen Presidential Fellows, a diverse group of 40 extraordinary leaders with the drive and capacity to transform community colleges to achieve higher levels of student success. Over the next decade, the majority of current community college presidents are expected to retire. At the same time, increasing numbers of students are flocking to community colleges to earn degrees that lead to good jobs, but too few actually graduate. The Aspen Presidential Fellowship for Community College Excellence aims to equip college leaders with the tools they need to dramatically improve student outcomes. The Fellowship is a highly selective yearlong program to prepare leaders aspiring, or recently appointed, to the community college presidency. Fellows will participate in a series of innovative seminars and ongoing mentorship focused on a new vision for leadership, delivered in collaboration with Stanford University faculty and top community college leaders. Ponce was selected through a rigorous process that considered her abilities to take strategic risks, lead strong teams and cultivate partnerships and focus on results-oriented improvements in student success and access. The 2016-2017 Aspen Presidential Fellowship for Community College Experience Fellows hail from 17 states and 30 community colleges. They will begin their program in July 2016 at Stanford University with anticipated completion in spring 2017. Applications for the second class will be available by Sept. 30, 2016. For more information, visit http://aspeninstitute.org/pres-fellowship. The Aspen Presidential Fellowship for Community College Excellence is funded by the Carnegie Corporation of New York, Charles and Lynn Schusterman Family Foundation, ECMC Foundation, Greater Texas Foundation, Joyce Foundation and Kresge Foundation. 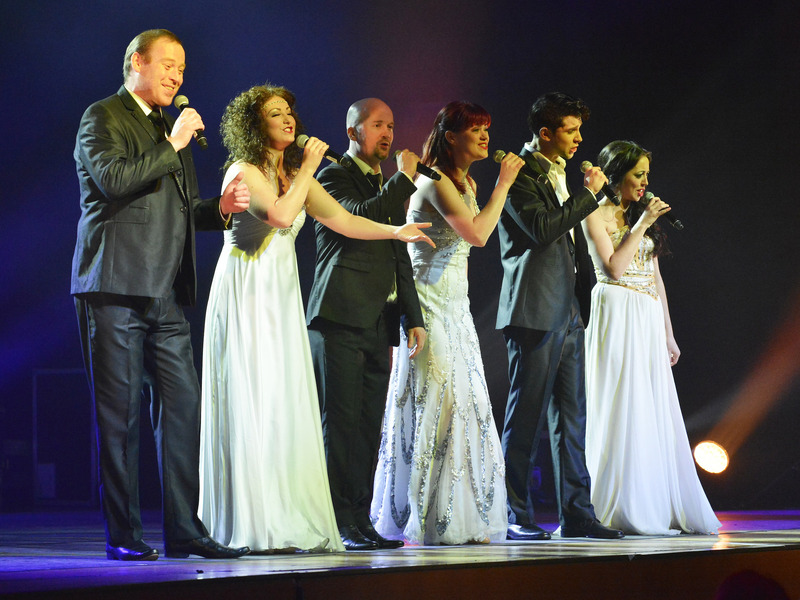 BAYTOWN, TX — A cast of the best singers, dancers and musicians from the British Isles will bring a rhythmic and rousing celebration of 100 years of Irish independence to the Lee College Performing Arts Center (PAC) this weekend, and tickets are still available. “Celtic Nights – Spirit of Freedom” is set for 7:30 p.m., Saturday, April 16, in the PAC main hall. Tickets for the show start at $25 and can be purchased online at www.lee.edu/pac or by calling the Box Office at 281.425.6255. After first performing at Lee College in 2014, Celtic Nights will now lead the audience on a musical journey of patriotism, revenge, love and courage taken straight from the pages of Ireland’s history. The production is inspired by the Easter Rising of 1916, when Irish nationalists took up arms to rebel against the presence of the British government in their country. Though it was ultimately suppressed, the Irish people considered the uprising a triumph because it revived their hopes and dreams for liberty. With songs, laughter, music, dance and stirring visuals, the cast of Celtic Nights weaves individual story lines into the narrative — sharing the courage and sacrifice of Irish heroes and heroines fighting for independence, and encapsulating the passion and spirit of freedom that remain in the country even today. Lee College is one of 54 stops that Celtic Nights will make as part of its latest North American tour. Rebekah Shearer, co-producer of “Spirit of Freedom” and a singer who performs in the show, attributes the cast’s growing following to the way they are able to make audience members a part of the magic. BAYTOWN, TX – In a feat previously unseen in collegiate debate, the Mendoza Debate Society at Lee College has earned its third consecutive International Public Debate Association (IPDA) National Community College Debate Championship – and Director of Forensics Joe Ganakos has been named the 2016 IPDA Bennett Strange Coach of the Year. The honors were announced at the 2016 IPDA National Championship Tournament and Convention hosted March 31-April 3 on the Lee College campus. Nearly 500 competitors participated. Lee College debaters were the IPDA National Championship Tournament Community College Champions – delivering the best performance in the tournament’s 19-year history – and the Season Long Community College Champions, capping off a standout regular season in which the team amassed more than 150 awards and several members reached national prominence for their individual accomplishments. The duo of captains Kyle Diamond and Rigo Ruiz won the 2015-16 IPDA Team Division National Championship, setting an all-time record for points earned in team debate. When combined with the scores earned by the third-place pair of Emmanuel Perez and Josh Lyrock, Lee College debaters also set an all-time points record en route to winning the IPDA Team Squad National Championship. Jerry McCauley was named 2015-16 IPDA Junior Varsity National Champion, and Diamond finished the season as the 2015-16 Varsity Division National Runner-Up and National Championship Tournament Varsity Finalist. Overall, the Mendoza Debate Society at Lee College was the top-ranked debate program in Texas for the 2015-16 IPDA season – besting opponents from Southern Methodist University, Stephen F. Austin State University, Prairie View A&M University, East Texas Baptist University, College of the Mainland, San Jacinto College and Tarrant County Community College, among others. The team was also competitive against some of the top universities in the nation, finishing fifth in the IPDA Founders’ Cup race that reflects combined success in the Novice, Junior Varsity, Varsity and Professional divisions. Diamond and Ruiz will next defend the team’s 2015 Madison Cup victory April 18 at the 2016 James Madison Commemorative Debate & Citizens Forum in Virginia. The competition field will include 36 teams from prestigious debate programs like Stanford University, Cornell University and Emory University. For more information about the Lee College Debate Team, contact Ganakos at jganakos@lee.edu or 281.425.6502. BAYTOWN, TX — Lee College’s own Thursday Night Band and Bayou Big Band will take the stage at the Performing Arts Center (PAC) for a free, jazz-filled weekend that will also feature an improv clinic and concert from Michael Davis, the acclaimed trombonist and composer widely known for his work with The Rolling Stones and the legendary Frank Sinatra. The first of two free events bound for the PAC Main Hall is “Jazz @ Lee College,” set for 7:30 p.m., Friday, April 8. Both the Thursday Night Band and Bayou Big Band will perform at the annual concert, which will include a mix of old and new big band-style instrumentals. The GCIC Jazz Fest will begin at 10:30 a.m., Saturday, April 9, in the PAC Main Hall. Various ensembles from the Texas Gulf Coast community colleges will perform on stage throughout the morning and afternoon, with the Thursday Night Band and Bayou Big Band from Lee College set for 4 and 4:30 p.m., respectively. Davis will offer an improv clinic at 1 p.m., and return to the stage at 7:30 p.m. for a performance with the GCIC Directors Band. The Campus Activities Board is sponsoring his appearance. Born in San Francisco, Davis quickly found his stride with the trombone in high school and attended college at the prestigious Eastman School of Music. His big break came in 1983 with a call to sign on with the Buddy Rich Band. 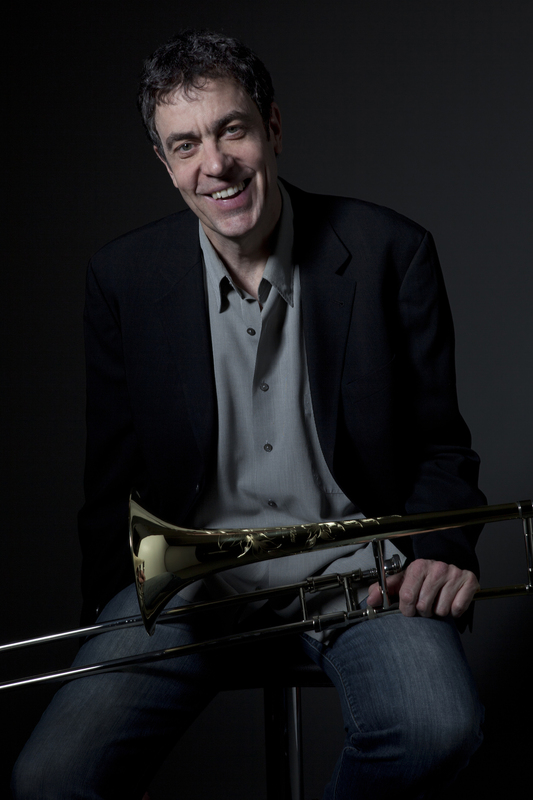 Three years later, Davis’ career as a freelance recording artist began in earnest and he quickly developed a reputation as one of the best trombonists in the business. In addition to touring and recording with The Rolling Stones since 1994 and Sinatra from 1988-1994, he has also worked with Michael Jackson, Bob Dylan, Tony Bennett, Jay-Z, Sarah Vaughan, Sting, Beck, Sheryl Crow, Lyle Lovett, Paul Simon, and dozens of others in a career that has spanned three decades. As a music educator, Davis has taught workshops and clinics for students around the world and written instructional books and arrangements for musicians at every skill level. He is the founder, creator and president of Hip-Bone Music, Inc. — through which he maintains his own jazz groups and projects — and the recipient of multiple awards from the National Endowment for the Arts. Davis has released nine solo CDs and composed more than 150 works during his career, and appeared on more than 500 CDs and motion picture soundtracks. In 2011, the S.E. Shires Company introduced the special edition Michael Davis Trombone in his honor.